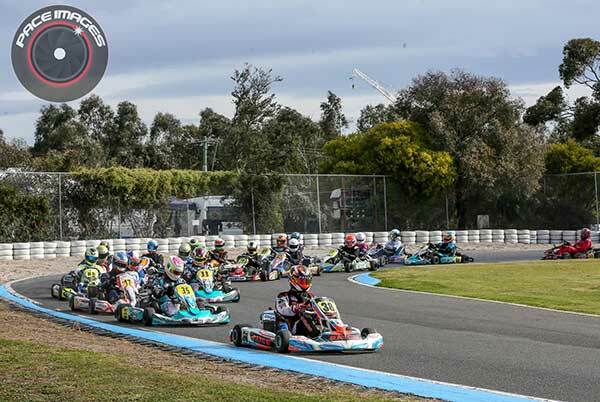 With 305 starters, will the 34th annual City Of Melbourne Titles on the weekend be the largest karting event (by entry number) in Australia for 2018? The meeting was highly competitive and attracted drives from every state, plus New Zealand and Singapore. 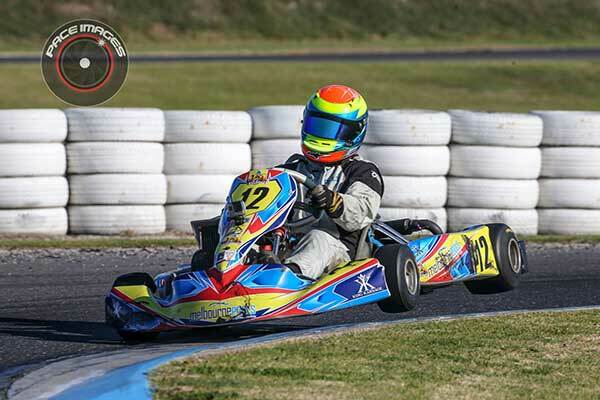 Pierce Lehane (CRG) qualified fastest but Matt McLean (KF Kart) won all the races. 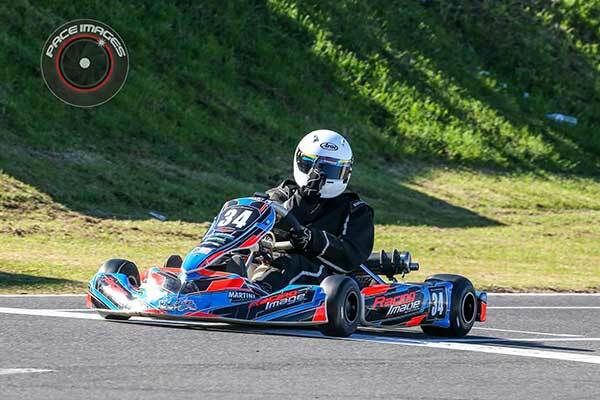 Brad Jenner (Kart Republic) held an early lead in the final, but McLean got by on lap 4 and stayed there. Matthew Beninca’s was a good recovery from grid 8 to finish third, setting fastest lap. The opening lap of the final saw grid 2 starter Coady Gorringe fire off backwards into the tyres, but was able to rejoin and came from dead last to a respectable 8th. Heat winners Coby Dunlop and Ben Taylor (who was also the fastest qualifier) fought for the lead, Dunlop winning after a couple of heavy blocks. TaG Restricted Medium and Heavy were run on track at the same time. Billy Westerveld qualified fastest in Medium and split the heat wins with Beau Humphrey, but it was Beau who came out ahead in the Final. 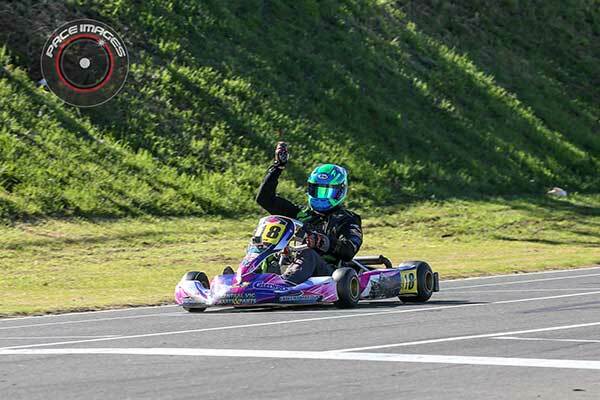 In Heavy, Joe Brancati was quickest in qualifying but then Luke McPherson got up to win all the preliminary races before Brancati struck back in the Final, edging out McPherson by 0.388s. NSW’s Benito Montalbano has really come of age this year, the City of Melbourne Titles proving his outright pace and passing abilities. Montalbano, Taine Venables and fastest qualifier James Sera all won heat races. Starting P3, Montalbano dropped well done the order on the opening lap. His recovery was assisted by Venables going out on the opening tour after contact with Jack Bell, who would set the race’s fastest lap. 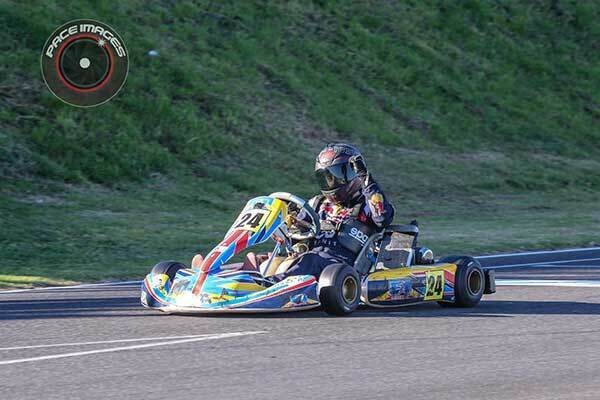 Montalbano passed kart after kart and had caught and then got by Sera for the lead on lap 10. The top 3 were covered by less than 1 second. 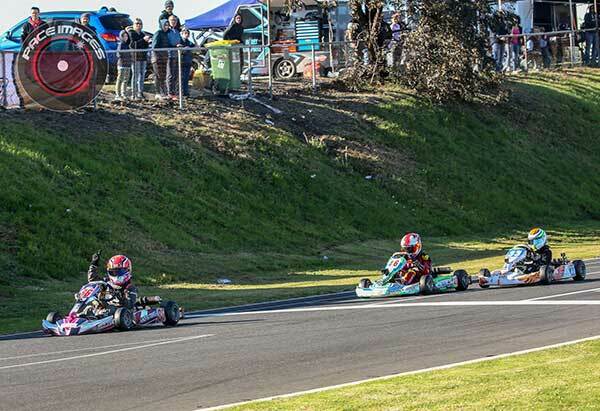 Picking a winner in KA3 Junior (24 starters) was going to be tough, Kai Allen, Kacey Mann and Jobe Stewart all winning races. 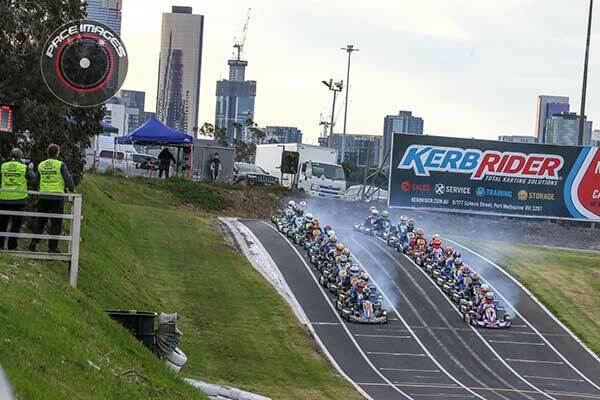 In the end, Allen and Ryan Bettess ran one-two for the full final as the battle raged for third, Stewart eventually getting there ahead of Blake Purdie (fastest lap) and Kobi Williams. 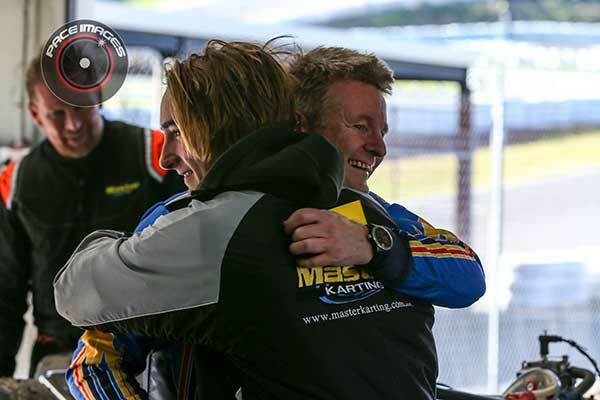 Another 2-in-1 deal, KA3 Senior Medium were on track with Vic Combined Masters. 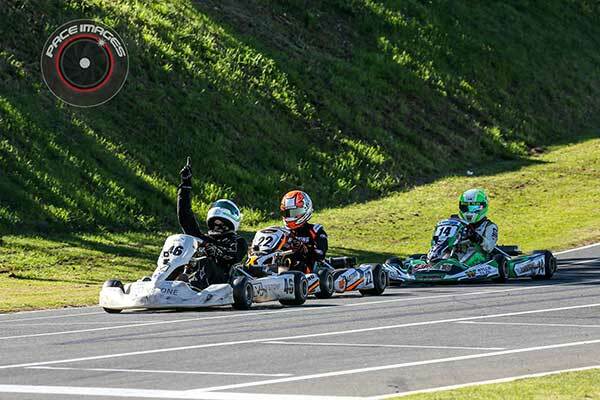 Daniel Webster and Christopher Thomas were the pace setters in KA3, winning all the heats. After forgetting to attach his transponder, Remo Luciani spent the heat races recovering from rear of field. He had a battle with Brayden Flood for the final podium position in the Final, but Webster and Thomas had the pace and moved away unchallenged. Mark Appleby started the meeting well, qualifying fastest and winning the opening heat of Combined Masters. 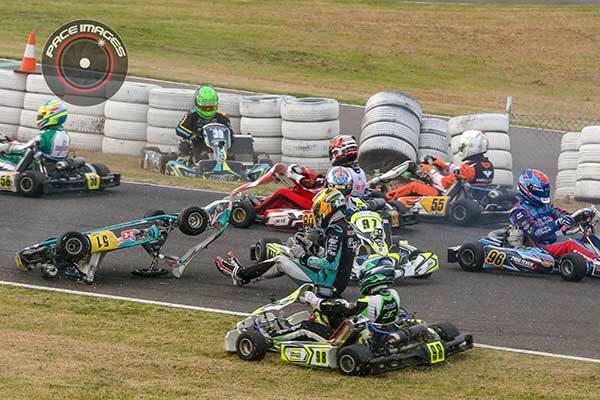 But things went a bit pear shaped after that, including a DNF as others scooped the wins. Come the final, he made up positions at the start to trail race leader Phil Smith (both using KA100s), getting by after a few laps but never able to get away. 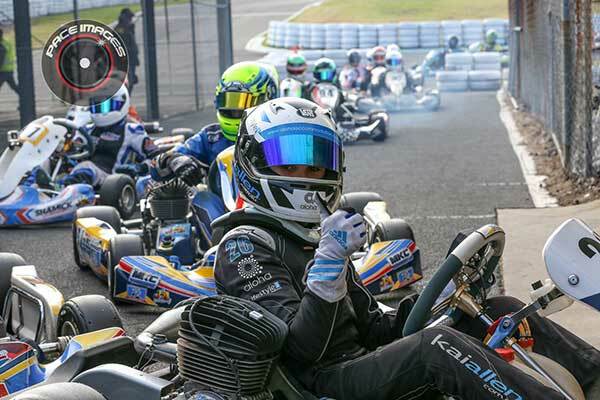 A capacity grid of Cadet 12 fronted at Todd Rd and the front end of this field is sharp, just 0.8 seconds covering the top three at the end of the final. 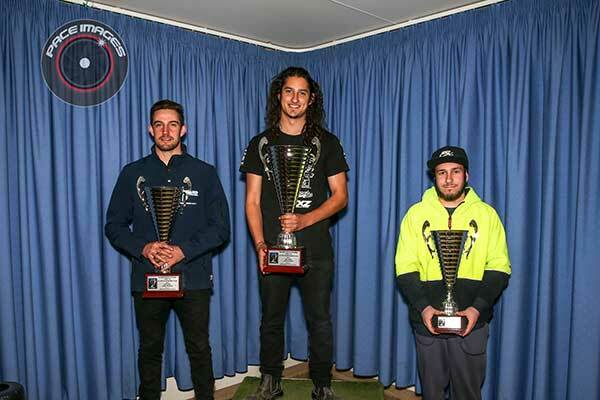 Both with international experience under their belt, Marcos Flack took out the final over Harry Arnett, having earlier shared the heat wins with Jesse Lacey and fastest qualifier Cadel Ambrose. 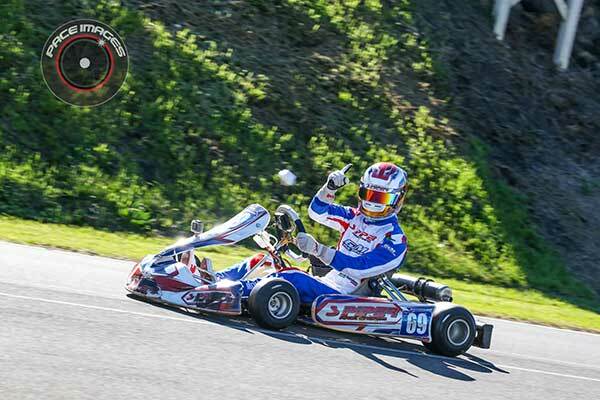 Alex Ninovic put in a strong drive in the final, coming through from 9th. Special mention for Cadel Ambrose, 7th and fastest lap after starting up the back (pre-final DNF). Fastest qualifier Ben McMellan won the TaG Heavy final, but had to overcome opposition to do so. Daniel Richert led for a number of laps from pole sitter Aaron Hindle before Hindle and then Jason Pringle had a run in P1. However it was McMellan who got there at the end. As is often the case, Cadet 9 provided plenty of close racing. Rock Han, Peter Bouzinelos and Lewis Francis finished with a break over the rest in the final, Rusty Ponting and Jaxson Burns next, but still less than 2.5s away from the winner. 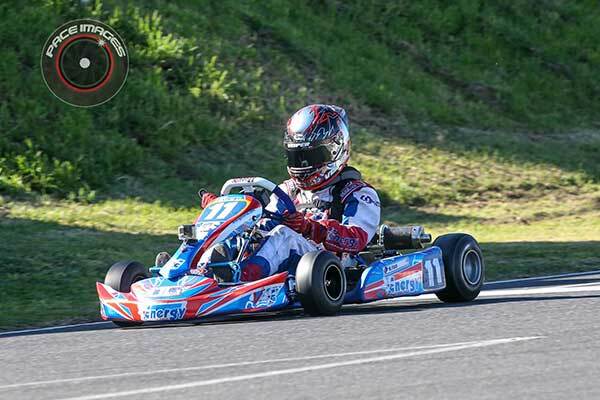 Bouzinelos set fastest lap by almost 2 tenths. 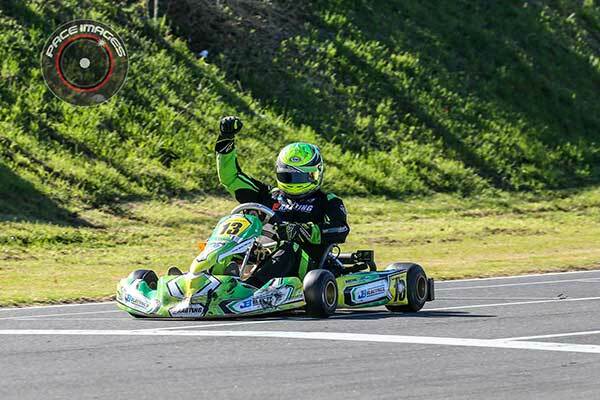 If it wasn’t for Troy Alger winning the second heat, Domenic Romeo (FA/Rotax) would have made a clean sweep of the TaG 125 Light class. He basically led all the way in the final, winning by over 2 seconds ahead of the fight for second between Leigh Nicolaou and Alger. Kai Allen, Bailey Collins and Fletcher Harris scrapped for the lead in the Final, but Collins ended up with a DNF. Allen led the closing laps but finished the race on the grass, dropping from P1 to P3. Tex Starr-McKoy recovered from a bad lap 1 to take second as Harris (Haase) took the win. 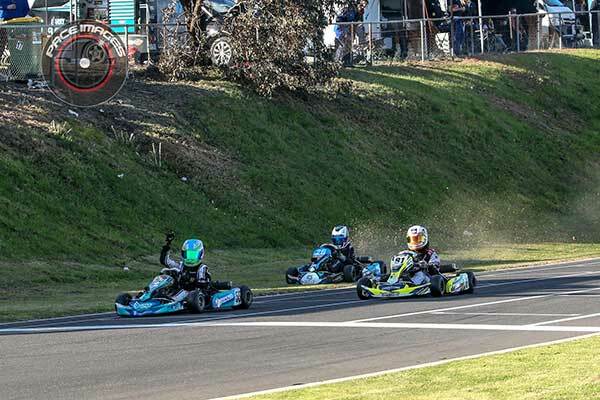 Alexander Casabene enjoyed what was possibly the largest winning margin of the meeting, taking out TaG R Light by almost 6 seconds over Scott Chaston and Calvin Board in a fairly strung out field. Want to see more photos? Check these out! AKD Photos HERE and HERE.